Witnesses are being asked to contact Peel cops following a collision in central Mississauga which sent a senior to a trauma centre, injuring three others. The incident took place Oct. 16 at 10:30 a.m. near Heatherleigh Ave. and Eglinton Ave. W., just west of Mavis Rd. 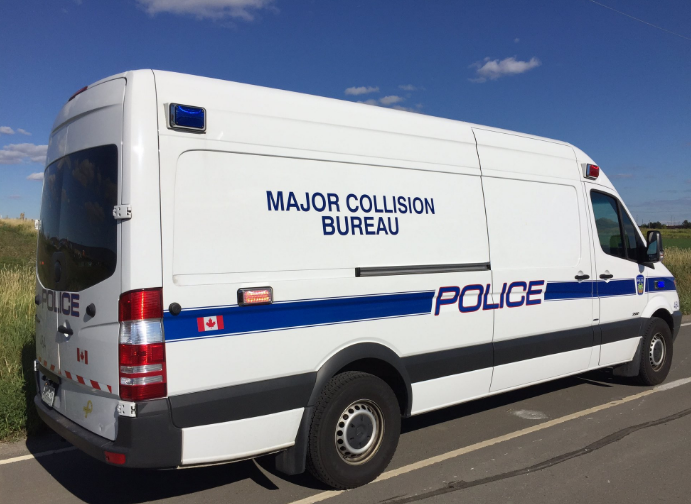 Major collision bureau investigators say three vehicles were involved: a grey 2010 Mazda 3, silver 2006 Toyota Corolla, and a silver 2005 Honda Odyssey. A 74 year-old female passenger from Mississauga was extricated then rushed to a Toronto trauma centre, where she remains in serious life-threatening condition. Three other passengers suffered minor injuries. Investigators are appealing for witnesses who may have seen the collision, have video footage of the incident, or who may have information about the actions of the drivers prior to the crash. Tips can be directed to (905) 453-2121 ext. 3710 or Crime Stoppers at 1-800-222-8477.